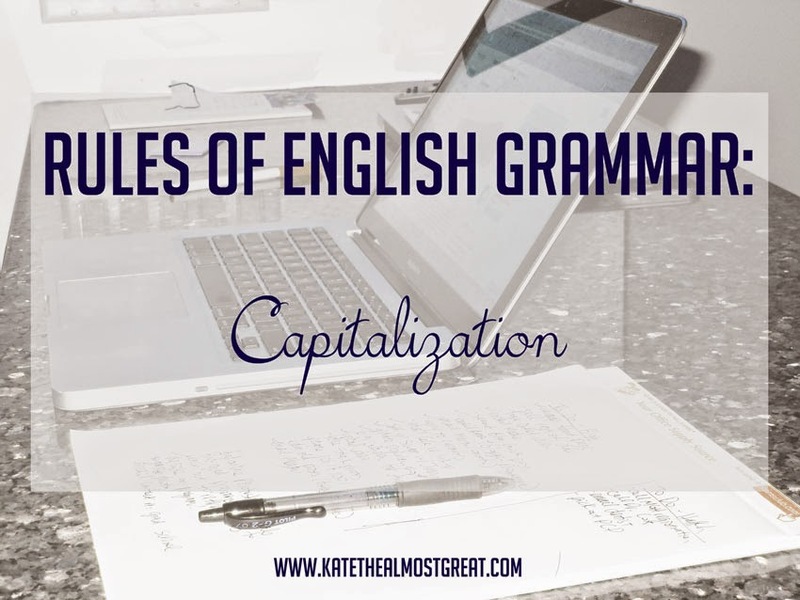 It has been a while since I talked about rules of English grammar, which mostly due to the fact that I wasn’t sure what to talk about. 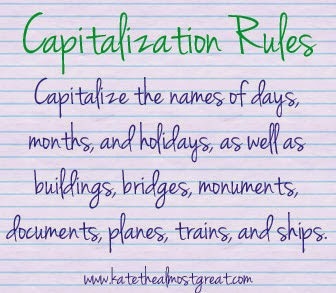 But then when I sat down to pick a grammar topic to write about, it came to me almost immediately: rules of capitalization. This is part one, since there are so many specific rules that your eyes would glaze over if they were in the same post. I’m just going to skim over the English capitalization rules you probably already know first. 1. 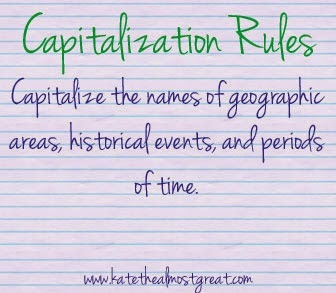 Capitalize the first word in a sentence, the first word in a line of poetry (unless the poet says otherwise), the first word of a quotation, and proper nouns and adjectives. 2. 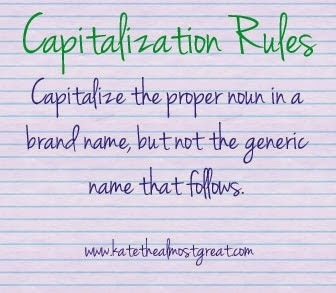 Capitalize the proper noun in a brand name but not the generic name that follows. Example: The blogger took a picture of her Starbucks latte while she wore Tory Burch riding boots. 3. 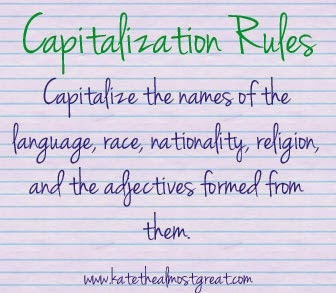 Capitalize the names of the language, race, nationality, religion, and the adjectives formed from them. Example: Since Rebecca goes to school in Virginia, she is a Virginian for most of the year. Example: On Thursday, November 27, 2014, Americans will celebrate Thanksgiving. You could take an Amtrak train to New York City to see the Empire State Building that weekend. Example: During the Civil War in the United States of America, as well as in the Great Depression and the Industrial Revolution, there were no bloggers because computers didn’t exist yet. 6. 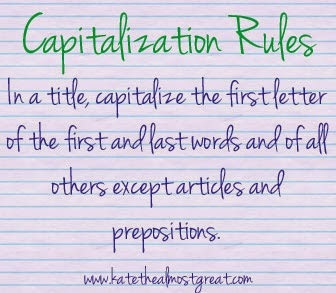 In a title, capitalize the first letter of the first and last words and of all other words except articles and prepositions. Any questions? Leave them in the comments or email me. 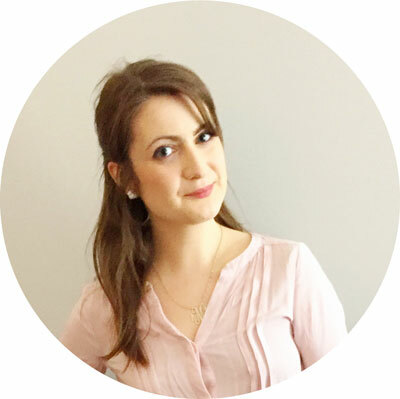 I also want to introduce you to Merrie from Petite Career Girl! Accessible clothing: generally I’m too cheap to buy designer and love shopping at stores I know fit me. Style for sizes 8 – 16: outfits/ tips for different body types and alteration guides. Affordable beauty: unless I know that the product is unique and awesome, I have a hard time buying high end products. 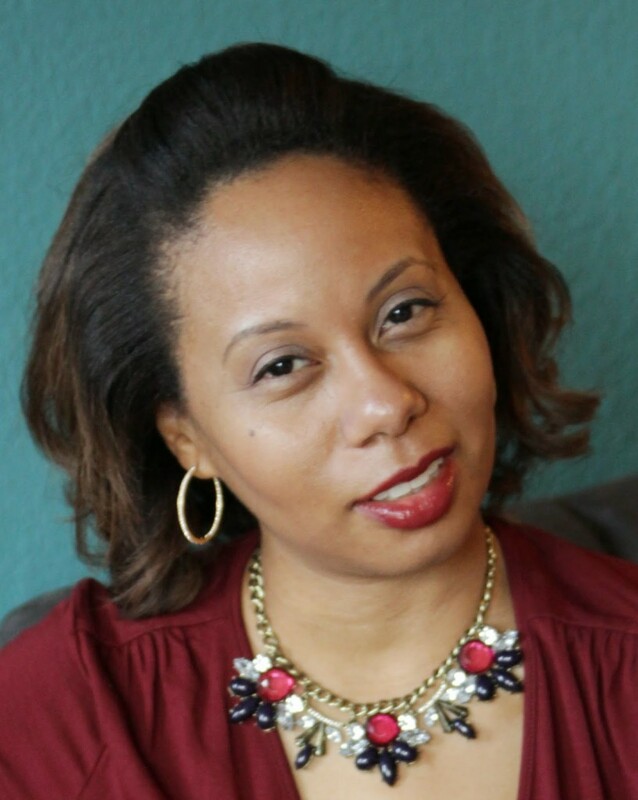 If you are new to my blog and looking for where to get started, checkout my For New Readers page. In my spare time, I am a rescue mom to two snuggly kitties (see below) and love Zumba, dining out and reading. When it comes to clothes, I describe my style as colorful-preppy-glam-classic. If you’re like minded…stay a while!